So now it’s officially April does that mean I should stop with all the Easter chocolate because my waists saying yes but my hearts telling me no. Life decisions. Besides chocolate, March was actually a rather spendy month for me makeup wise -let’s be real most months I spend much more than I really should- but March has seen the addition of quite new items to my collection, I blame it on the release of Spring/Summer collections mixed with Easter offers, I’m weak. Enough rambling, these are the products I’ve loved throughout March. I first spoke about my love for this foundation back in my Spring everyday base post and I’m still loving it dearly, in fact I don’t think a single day has passed throughout March that I didn’t wear this foundation – and that’s really saying something coming from me! I love how buildable it is, the lasting power is great, it leaves my skin still looking like skin, the list could go on for ages! Thank you Make Up For Ever for creating the foundation of my dreams. Up next is a product that I’ve recently rediscovered my love for, the MAC Prep+Prime Highlighter. I was doing my makeup and I saw this in the bottom of my concealer drawer and decided to give it another try. I like to apply it after the Urban Decay Naked Skin Concealer in a triangle shape under my eye and along my cheekbone. Whilst it may sound a bit risky layering, I find it doesn’t look heavy and cakey in fact it’s the complete opposite and my under eyes look more awake and my face is brightened. When it comes to brows, Anastasia Beverly Hills has been the only brand I’ve used for a long time now and I must say she truly owns the brow industry. The Brow Wiz pencil has been my everyday brow choice for a while now but I’ve always used the shade medium brown with my silver/grey hair. Now I’m blonde I wanted something a bit more natural looking so I gave taupe a try, it’s the shade I use in the Dipbrow Pomade so I knew it would be a better match. I’m so glad I swapped colours as taupe just looks so natural on my rather sparse brows. Brow Wiz, I love you. I first fell for hype of these crazily priced eyeshadow sticks last year when I welcomed Misty Rock to my collection, and whilst I still love her dearly I felt like I wanted something a bit more natural and on the pinky side, here comes in Frozen Quartz. It’s such a beautiful shade that honesty just wows me every time I look at it. I will happily hand over £29 to repurchase this beauty. Continuing on with eyes, another (much more affordable!) product I’ve been loving are the NYX Prismatic Eyeshadows. These shadows are seriously pigmented and super metallic which just add a little something extra to your eye makeup. I currently own Girl Talk, Golden Peach and Mermaid and as much as I love them all, Girl Talk has certainly been the standout shade. Last but not least is this beautiful matte lip pencil from Soap & Glory. Now as much as I love a matte lip I’m really fussy with the ones I like and there’s not many, but the formula of these is spot on for me. I own two of the colours, but Pretty Muted has been the shade I’ve worn practically daily. It’s such a lovely muted pink that adds a really subtle pop of pink without being overpowering making it perfect for Spring. 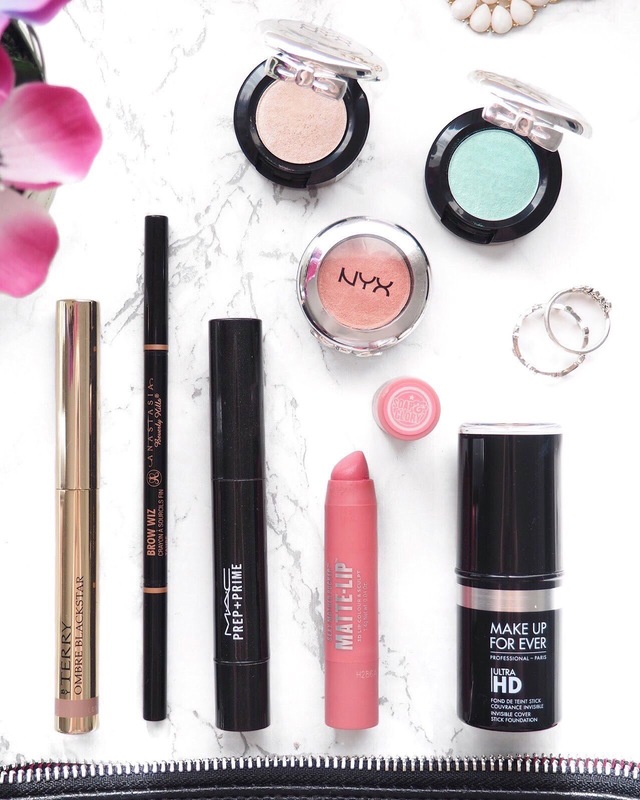 So those are the products I’ve loved thought March, what have some of your favourites been?